Medical treatment of hemorrhoids is aimed initially at relieving symptoms. Measures to reduce symptoms include · Warm tub baths several times a day in plain, warm water for about 10 minutes. · Application of a hemorrhoidal cream or suppository to the affected area for a limited time. Preventing of the recurrence of hemorrhoids will require relieving the pressure and straining of constipation. Doctors will often recommend increasing fiber and fluids in the diet. Eating the right amount of fiber and drinking six to eight glasses of fluid (not alcohol) result in softer, bulkier stools. A softer stool makes emptying the bowels easier and lessens the pressure on hemorrhoids caused by straining. Eliminating straining also helps prevent the hemorrhoids from protruding. Good sources of fiber are fruits, vegetables, and whole grains. In addition, doctors may suggest a bulk stool softener or a fiber supplement such as psyllium or methylcellulose. In some cases, hemorrhoids must be treated endoscopically or surgically. These methods are used to shrink and destroy the hemorrhoidal tissue. 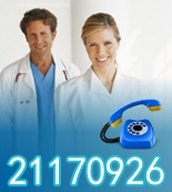 The doctor will perform the procedure during an office or hospital visit. A number of methods may be used to remove or reduce the size of hemorrhoids. 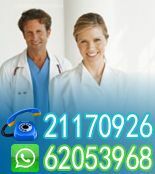 Painless non-surgical techniques, lasers for hemorrhoids, harmonic scalpel for hemorrhoids, and the use of hemorrhoid medications are discussed further in this web site.